I’m sorry Max Gruver is dead. Really, I am. The 18-year-old LSU freshman died over the weekend after apparently consuming fatal quantities of alcohol at a fraternity house at Louisiana’s flagship university. 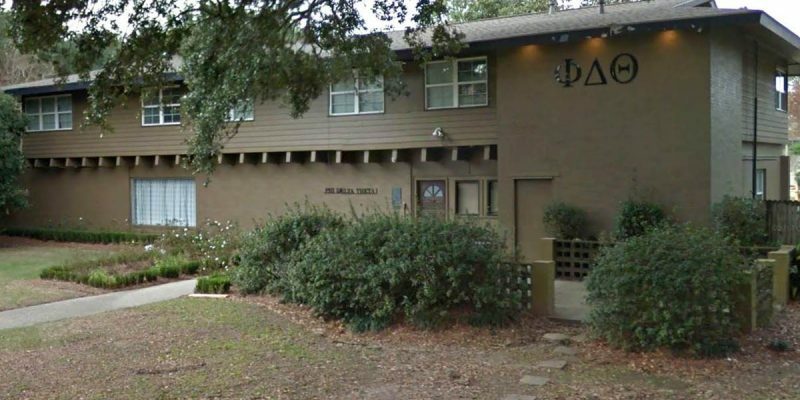 It’s being called a “hazing death.” It’s sad. It’s awful. It’s not everyone else’s fault. 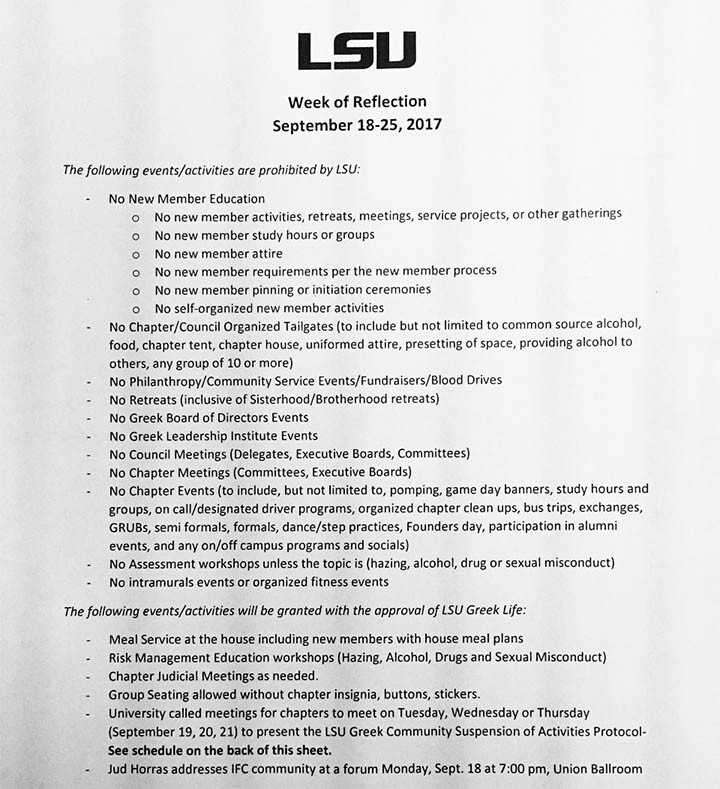 In addition to suspending the fraternity in question – which also had its charter revoked by its national headquarters – the University has suspended many Greek life activities. On Tuesday, the University also banned gatherings of more than 10 fraternity or sorority members at any given time, thus eliminating service projects, tailgating, council meetings, etc. Having graduated from a university where approximately one-third of students were involved in Greek life – fraternities and sororities – I’ve seen my share of nonsense under the guise of “brotherhood,” “sisterhood” and “bonding.” I’ve seen friends get caught up in the nonsense of chugging whiskey and eating stewed tomatoes until they vomited, groups of them so drunk they trudged through their own discharge blindly. One of my closest friends to this day put up with such nonsense for almost a full semester before, finally de-pledging shortly before “hell week,” when he knew he’d be subjected to even more. When he told me, mid-semester, about what he endured, I respectfully asked him why. He said it caused the young men to bond in ways that other activities didn’t. I belong to a fraternal organization that, like most, requires initiation. It wasn’t entirely pleasant, but it was instructive. It was never self-destructive or dangerous. If it had been, guess what? I’d have checked out, pronto. I confine my self-destructive behavior to whisky and tobacco, not short-term toxicity and peril. By all accounts, Max Gruver was a great kid – and, clearly, he was a kid, not a grown-up. Unless new evidence emerges to the contrary, he voluntarily drank, he voluntarily smoked, he voluntarily engaged in things he knew – or should have known – were dangerous, even to a kid. He was a kid with the adult accountability, prescribed by law, that holds he, himself, at least partially responsible for his own conduct and, therefore, for what happened to him. Similarly, the other students at LSU, almost all having reached the age of majority, should not have their movements and associations – Greek or not – prohibited just in case they’re too stupid or too immature to make good decisions. Universities are expected to act in loco parentis – in the place of parents – in many ways. Telling students they cannot gather in groups of more than 10 is absurd, and, I think, unconstitutional. I was no fan of the “Greek System” when I was in college 20-plus years ago, and I’m no fan of it now. But to blame Max Gruver’s unfortunate and decidedly sad demise on the gathering of 10 or more fraternity or sorority members in one place defies logic. It defies, in fact, the sort of education one would expect from an institution of higher learning. It defies, in living color, the principles of freedom that even allow institutions of higher learning to exist. The liberals often associated with academia love to denounce governments that invade people’s choices and associations. Please convince me this isn’t exactly the same thing – but only one at a time; I wouldn’t want to be seen in too large a gathering and mistaken for an undesirable.